We are delighted to introduce our Cocktail Making Masterclass led by the Oriole bar team. During this practical cocktail making session, guests will learn how to make two Oriole style serves using Pampelle; a bitter-sweet citrus aperitif. Tickets are £20, which include a welcome drink, masterclass and tasting serves. We anticipate this masterclass to fill up fast, so make sure to book in advance. The masterclass begins promptly at 7pm, please arrive at 6.30pm for your welcome drink. We also welcome the guests to staying longer for dinner, drinks & live music. From 9pm, James cut his teeth as a pianist, bandleader and arranger as a student in Edinburgh before moving to east London in 2006. His idiosyncratic, New Orleans-inflected piano and vocal style incorporates elements of James Booker, Fats Waller, Charles Brown and Amos Milburn. James can regularly be found playing gigs around the city with his band, JB's Casual Vices, as well as playing occasional solo sessions. To hear more about upcoming events at Oriole click here! We're delighted to present an evening of live music and delicious rum cocktails courtesy of Havana Club. From the gambling dens of pre-revolution Havana, where the sweet smell of cigars hung thick in the air and the aged rum flowed, The Sugar Kings Cuban duo present Son, vintage Mambo, Guaracha, Bolero and Cha Cha Cha…with vocal harmonies, exciting rhythms and abounding Cuban sunshine. As a result of the generous support of Havana Club, we are also able to offer a special menu of rum cocktails at reduced prices featuring the brand all night, along with free live music. During Cognac Weekend in partnership with Drink Up London, thanks to the sponsorship of Hennessy Very Special we are serving a special menu of reduced priced tipples. 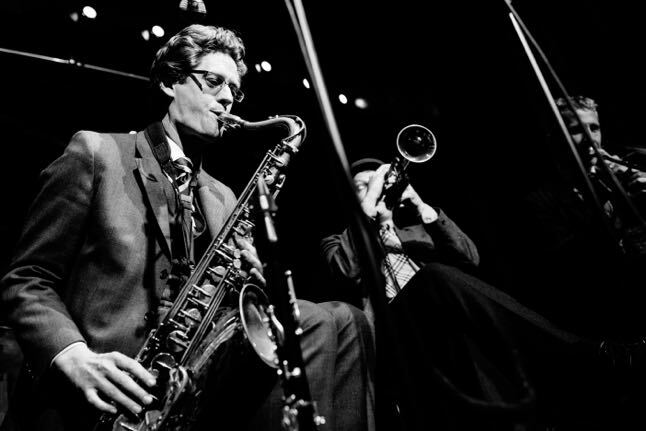 From 9pm, we have one of London's top vintage jazz bands, The Shirt Tail Stompers. They are heavily influenced by the great American band leaders and musicians of the 20s, 30s and 40s: Fats Waller, Fletcher Henderson, Wingy Manone and others. 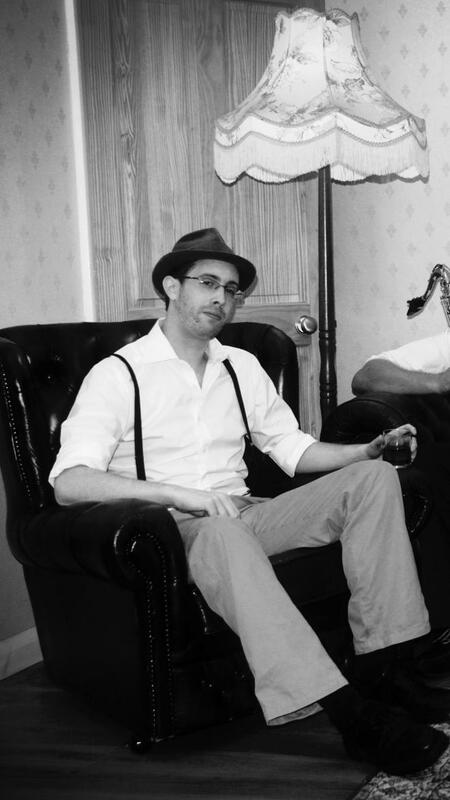 Performing as a duo, this London-based band are bringing swing music back into the mainstream with their own suave and raucous stamp. Live music is £5 per person. 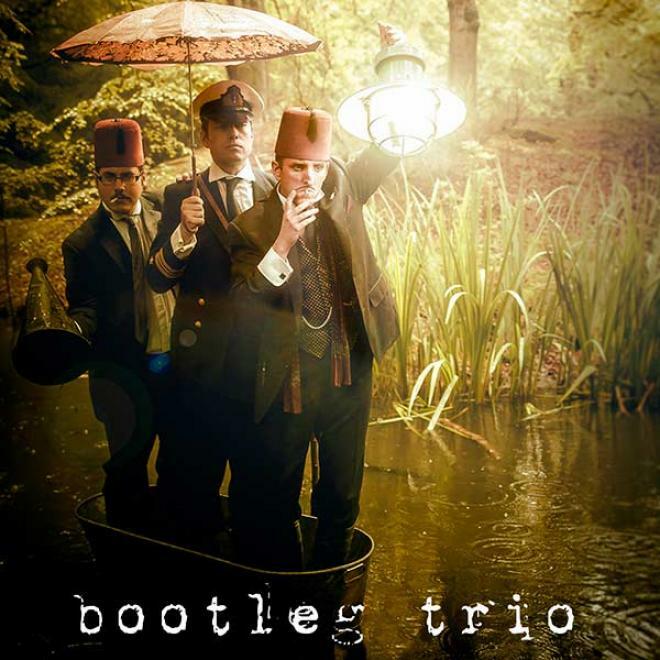 The Bootleg Trio is fronted by the illustrious Fred Snow. Showman, Composer, Artist-Provocateur. Often found loitering in High Society weddings, Shanghai award ceremonies, exclusive gatherings & street festivals in Brazil. Fred Snow has earned his place in the glinting spires of Britain’s independent music scene - that ethereal castle in the mythic Bohemian otherworld. Born in 1976 and named after the great Freddy Mercury, which he continues to honour. His journey started in the USA, where he absorbed both the Squirrel Nut Zippers & The Violent Femmes during the mid ‘90s. Adding to Weill, Guthrie, Waits, Dietrich, Bowie, Brel, Neil Young, Agnes Bernelle, 3 Mustaphas 3, Kid Creole, Queen, The Velvet Underground - all are claimed as fonts of scant reverence. 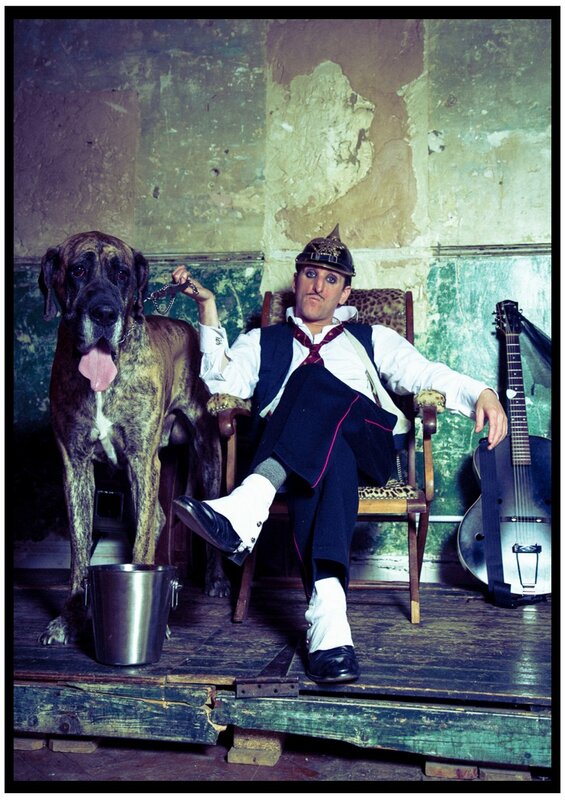 Solo performances to re-inventing the Old Style with The Top Shelf Band & Le Bistrotet, or the Avant-Garde of The Bootleg Trio & New Bohemian Orchestra, writing, recording & appearing live is just the half of it. Fred Snow has gone on to deliver original material for soundtracks on TV, adverts & even appearing in an oscar winning movie performing his own music. Starting his Record Label & Music Publishing arm brought additional challenges and responsibilities, becoming an advocate within London’s independent scene through his membership of AIM, PRS & MPA. Fred Snow’s accomplishments have resulted in opportunities to cross 6 different continents, his live act having been booked to appear alongside such luminaries as Camille O’Sullivan, Paul O’Grady, Le Gateau Chocolat, Tankus the Henge, Urban Voodoo Machine, Paloma Faith, Kid Creole, Lana Del Rey, Jessie J., Brian Ferry, the Buena Vista Social Club as well as Nile Rogers & Chic! Natty Congeroo & The Flames of Rhythm come with a hard-earned reputation as one of the top Swing bands in the U.K. Theirs are always high-energy performances, guaranteeing a hands-clapping, toe-tapping night of swing. The repertoire of the band is a combination of tight original numbers and explosive interpretations of classic Hot Jazz, Swing, Rhythm ’n’ Blues and Gospel numbers from the golden era of the 1920’s-50’s. The band will also be playing a Late Set from 12. Cover will be charged at £4 for guests staying on and £5 on the door. The Swing Ninjas started life as a busking trio playing small clubs and on the streets of Europe. From humble beginnings, they’ve now grown into a large band writing and performing original new swing music – drawing on elements of New Orleans swing, spirituals, blues, cajun jazz, all influenced by the UK new swing movement. We’re excited to bring you a night of free live music and discounted cocktails, thanks to our friends at Martini. Music will be led by Ewan Bleach - a clarinetist, saxophonist, pianist and singer specialising in 1920s and 30s jazz and blues. Ewan runs a couple of regular London jazz nights -the Cakewalk Cafe at Passing Clouds and the Golden Era of Jazz at the Jamboree. He regularly visits New Orleans for inspiration and has toured in France with the renowned New Orleans street band Tuba Skinny. He currently works as a clarinetist with several London jazz bands including Man Overboard, The Basin Street Brawlers, The Dakota Jim band and The Old Hat Jazz Band. Ewan has a large repertoire of rare old songs ranging from the rough raggy blues songs of the 20s to the rich luscious ballads of the early 40s; referencing artists such as Billie Holiday, Al Bowlly, Bessie Smith and Jimmie Rodgers. We are delighted to host this tasting masterclass in partnership with Ocho. It is one of the few tequilas still made slowly in the old fashioned way, Tequila Ocho is a fine quality spirit which accentuates that which is exclusive to tequila, the agave flavour. Guests will learn about the crafting of the brand and be treated to a tasting of expressions of the range. Tickets include the tasting, a welcome drink along with a specially paired taster canapé from our kitchen. The session begins promptly at 7pm, please arrive 15 minutes before for your welcome drink. We also invite guests to staying longer for dinner, drinks & live music. 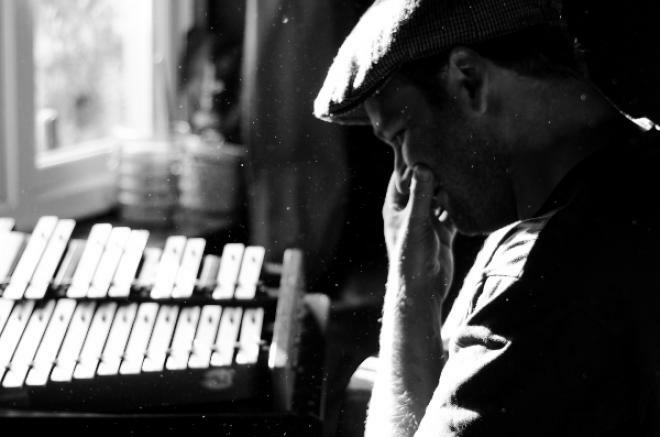 From 9pm, Al "Dente" Dunn is pianist, MD, and arranger for The Cosimo Matassa Project a popular London sextet inspired by the countless joyous recordings that flowed from the famous J&M studios of New Orleans between the late ‘40s through the ‘50s and ‘60s. With monster groove and technique, his performances wonderfully conjure up the Crescent City atmosphere of a New Orleans speakeasy with stomping piano and joyous mardi gras songs. We're delighted to present an evening of music and delicious whiskey cocktails courtesy of Woodford Reserve. On the stage, The Hot Rock Pilgrims, an old-time supergroup featuring some of the most exciting young pickers in the South East of England. As a result of the generous support of Woodford, we are also able to offer a special menu of whiskey cocktails at reduced prices featuring the brand all night, along with free live music. Dusty Corners dig through the great songbooks of yesteryear to bring you only the gems of pre-1940s music. A traditional ensemble for contemporary ears, Dusty Corners share with you the rare and the classic through the lens of a century. Kai loves the music of the 50s – from rhythm and blues to rockabilly, rock ‘n’ roll to New Orleans, with a sprinkling of mambo and a dash of Kai’s own vintage-inspired original material. This summer, we're hitting up the dance-floor! For a limited series of very special, one-off evenings, we'll be turning Oriole into a swinging, luxurious cocktail World Music discothéque. Evoke the world of the Copacabana in '59 or Whisky-a-Gogo in '60 and enjoy the rare delight of world-class cocktails & music together while dancing into the wee hours. Up first, the Copita Club in partnership with George Clooney’s tequila of choice, Casamigos, will be a deliriously decadent Mexican fiesta held on Cinco De Mayo. We’ll be serving up our Chihuahua and Quintana Roo cocktails along with margaritas, sangritas and traditional copitas to sip that mezcal from. Splash out and enjoy decadent seated table service in our lounge area with a group of friends (including a complimentary Sharing Cocktail for the table!) or don your dancing shoes and swing down for a standing ticket for cocktails & dancing. Harking back to the big band sound of 1960s Latin America via the back streets of New Orleans, the infectious, maverick and irresistibly swinging street music of Voodoo Love Orchestra will have the crowd baying for more. This is more an invasion than a performance, with a euphoric riot of musicians weaving in and out of the throng. Delving deep into the heart of the tropics, this globe-trotting ensemble play a whole range of pan-Atlantic sounds: Colombian Cumbia, Cuban Comparsa, New Orleans Jazz + Mississippi Blues. The musical melange of relentlessly syncopated beats and squealing trumpets is an abundantly joyous salute to the roots of carnivale! Dom has been filling dance floors since the early 1990s with his beautifully blended, open minded mix of music steeped in soul, jazz and funk. From the early days of his Brighton residency with DJ Snowboy, his infamous late 90s Mouseorgan club events, to a decade and a half DJing under the Wah Wah 45s banner, Dom has become something of a clubbing institution. Dom’s sets are best extended and forward thinking, taking in latin, disco, jazz, electronica and everything in between. Early bird tickets are limited until Monday 15th April and will fill up fast so we recommend booking in advance. We will be running normal service early evening until 8pm, serving a reduced menu of concoctions featuring the brand alongside our bar snacks menu. We are delighted to introduce our Cocktail Making Masterclass led by the Oriole bar team. During this practical cocktail making session, guests will learn how to make two Oriole style serves. We anticipate this masterclass to fill up fast, so make sure to book in advance! The masterclass begins promptly at 7pm, please arrive at 6.30pm for your welcome drink. The session will run for approximately 45 minutes. We also welcome the guests to staying longer for dinner, drinks & live music. 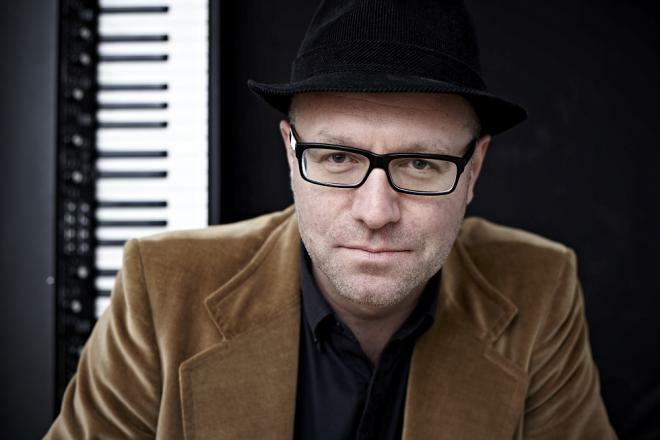 From 9pm, veteran pianist Tim Penn is one of the most popular musicians on the London Blues and Roots scene. His repertoire includes the ragtime, stride and old blues songs of the 1920s, through to the songs of the great New Orleans Piano players like Professor Longhair, Fats Domino, Dr John and Allen Toussaint. Along the way you can also expect some musical diversions into the world of Ray Charles, Tom Waits, Soul-Jazz and Tim’s own songs and instrumentals. Made up of two acoustic guitars and a double bass, the Kourosh Kanani Trio perform the Parisien sounds of gypsy jazz. The essence of Django Reinhardt and the Hotclub of France is ever present whilst being filtered and improvised by this trio. Expect fiery exchanges of ideas, burning swing rhythms and heart warming ballads that will bring time to a gentle halt. Inspired by the swinging music that emerged from the infamous Parisian Cafes and nightclubs of the 1930s and 1940s, Benoit Viellefon presents his Hot Club. A unique ensemble that celebrates the popular songs played by artists like Django Reinhardt, Stéphane Grappelli, Louis Armstrong, and Sidney Bechet. 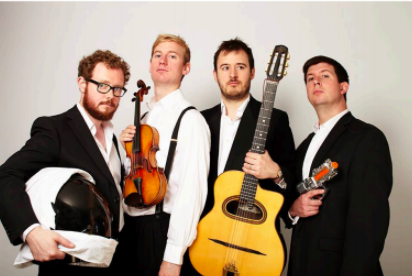 With all the romanticism and nostalgia of the French repertoire and with a nod to the American jazz virtuosi who visited Paris, the Hot Club is the perfect mix of European finesse and the restless fervour of American hot jazz. The Hot Club is made up of the finest musicians on the London jazz scene, all of them bringing their own character and experience, and contributing to the unique identity of the band. Fronted by Benoit himself on guitar and lead vocals, the timeless 2-guitar and double bass format is spiced up with a variety of instruments including violin, clarinet, trumpet and sometimes piano. The band’s repertoire consists of all the popular songs from the classic French, American, Italian and Russian songbooks. Capturing the sights, sounds and sensations, the Hot Club truly embodies the spirit of this bygone era. The Chris Corcoran Trio are an instrumental tour de force and unique to the UK Blues scene. Hailed by Guitarist magazine as 'endlessly inventive' and 'one of our favourite purveyors of vintage blues'. The band has performed at many of the UK’s noted blues venues and festivals, bringing their eclectic repertoire of covers and self-penned numbers delivered with energy and passion for authenticity of roots rhythm and blues. We are closed tonight for a private hire. We hope to see you soon. We're delighted to present an evening of live music and delicious cocktails courtesy of Appleton. From 9pm, the self-titled “King of Dirty Jazz, Backroom Swing and Rhythm and Blues”, TJ Johnson is a true ambassador of the soul singing songs of love lost and gained, of life wholesome and corrupt, of hope and despair, all with the true passion and boozy swagger of only a man who has been there and knows. As a result of the generous support of Appleton, we are also able to offer a special menu of cocktails at reduced prices featuring the brand, along with free live music. Aisha Khan sings American roots music, Jazz, Blues and Rhythm & Blues of the 1940’s/50’s. With a nod to the glamour and sophistication of a bygone era and over 25 years of experience, coupled with an unrivalled passion for the music, she combines outstanding original material with powerful cover versions and performs them all with class, soul, talent and wit. Equal Parts sultry Jazz chanteuse and Rhythm and Blues belter, Aisha easily communicates heartbreak, joy and a range of emotions in between, continuing to honour the tradition of the true Divas. Aisha’s earliest influences incorporated everything from Elvis and Sarah Vaughan to Billy Bragg and Northern Soul. Naturally drawn to London’s incendiary Rockabilly club scene, she felt the irresistible pull of black American Rhythm & Blues as a call to action, setting up her first band Tiger Lily and the Jitterbugs, with which she performed throughout the UK and Europe for several years at Jazz, Blues and Rock & Roll festivals, clubs and events. Thanks to the sponsorship of Hennessy we are serving a special menu of reduced priced tipples. and free live music . Master of our monthly Hennessy Jazz Jams, Duncan Hemstock is a band leader like no other. He brings his joy for life and music to every performance, always delivering with a smile and a cheeky quip or two. His clarinet playing is not only influenced by Goodman, but also the fiery intent of Edmond Hall, while his Tenor Saxophone approach is inspired by the great Lester Young. We are delighted to host this masterclass in partnership with Fords Gin. Guests will be taken on a journey though the history of gin, charting its rise, fall and re-emergence through a gin-based cocktail tasting experience. Tickets are £10, which includes the tasting, a welcome drink along with a specially paired taster canapé from our kitchen. 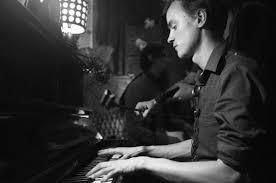 From 9pm, Joe Webb is a welsh pianist who has been based in London for the past two years. Over this time joe has had the pleasure of working with some of the capitals finest musicians and venues. Joes biggest influences in jazz piano are the likes of Teddy Wilson, Art Tatum, Oscar Peterson and many others. Joe enjoys showing his interpretations of some of his favourites from these artists. On stage, an homage to Chet Baker composed by cool trumpet and vocals. Chet's trumpet and vocal style are disarmingly melancholic yet warm. Cool jazz with a big heart, he could induce a tear and a smile at the same time. James Whittington and Matthew Lucas play and sing classics loved by the Oklahoma-born trumpet player and his contemporaries. Remembering Chet, who would be 90 this year. Thanks to the kind sponsorship of our friends at Woodford Reserve, we are able to offer free live music and discounted cocktails all night. The Hot Rock Pilgrims, an old-time supergroup featuring some of the most exciting young pickers in the South East of England. They are known for outstanding live shows & their suave appeal for European private events. Usually found loitering in High Society weddings, Shanghai award ceremonies & exclusive gatherings. The group is fronted by Fred Snow, who has written & recorded original material for TV & award winning movie soundtracks, providing opportunities to visit 6 different continents of the world with his own music, bands & solo acts, having been booked to appear with such luminaries as Lana Del Rey, Brian Ferry, the Buena Vista Social Club as well as Nile Rogers & Chic! Miss Hoodoo & The Delta Boys play Blue Note 60’s Grant Green/Lou Donaldson laid back soul/jazz than 70’s funk. The band are supported by captivating soulful vocal with upright bass, drums, piano, trumpet/trombone. We're delighted to present an evening of jazz and delicious cocktails courtesy of Grey Goose. 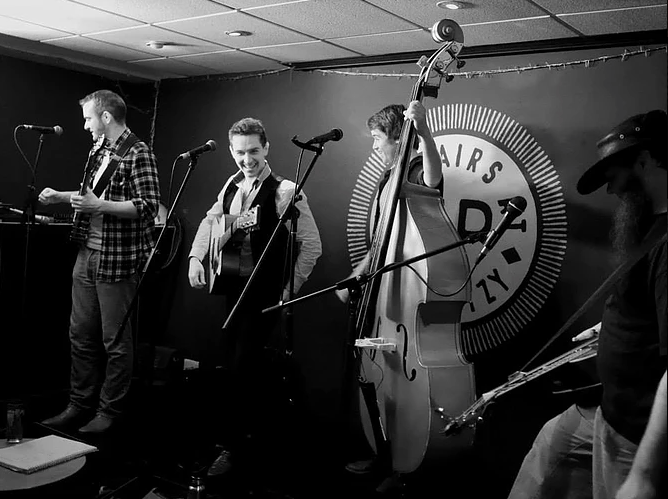 From 9pm, london based four piece Fraser & the Alibis play the hippest in Bop, Blues and Boogaloo. Inspired by the big tenor sax sounds of Dexter Gordon and the screaming Organ of Jimmy Smith, the band play original tunes, drenched in the roots of the music. With a nod to 'Sam Butera and the Witnesses', Fraser & the Alibis channel the intensity and feel good effect of the swing and jive music of the dance hall era, combined with the virtuosities and flavours of the Blue Note movement. As a result of the generous support of Grey Goose, we are also able to offer a special menu of vodka cocktails at reduced prices featuring the brand all night long, with free live music. James cut his teeth as a pianist, bandleader and arranger as a student in Edinburgh before moving to east London in 2006. His idiosyncratic, New Orleans-inflected piano and vocal style incorporates elements of James Booker, Fats Waller, Charles Brown and Amos Milburn. James can regularly be found playing gigs around the city with his band, JB's Casual Vices, as well as playing occasional solo sessions. We're delighted to present an evening of music and delicious cocktails courtesy of Bacardi Anejo Cuatro. From 9pm, The Sugar Kings bring to Oriole the gambling dens of pre-revolution Havana, where the sweet smell of cigars hung thick in the air and the aged rum flowed. 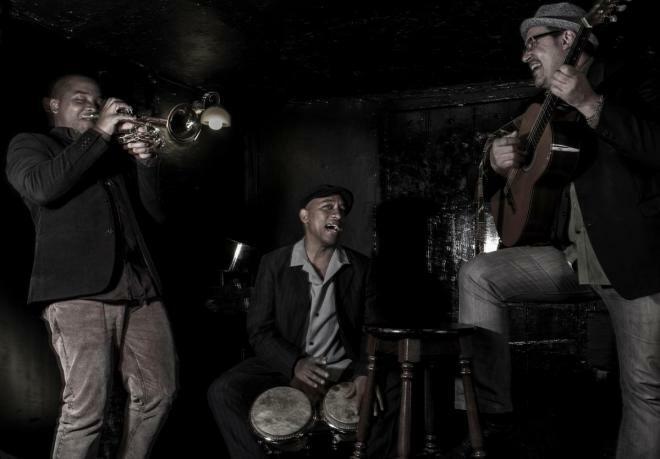 The Cuban duo present Son, vintage Mambo, Guaracha, Bolero and Cha Cha Cha…with vocal harmonies, exciting rhythms and abounding Cuban sunshine. As a result of the generous support of Bacardi Anejo Cuatro, we are also able to offer a special menu at reduced prices featuring the brand all night, along with free live music. The Hot Club of Jupiter play their own unique mix of gypsy swing classics, hot jazz and original songs. 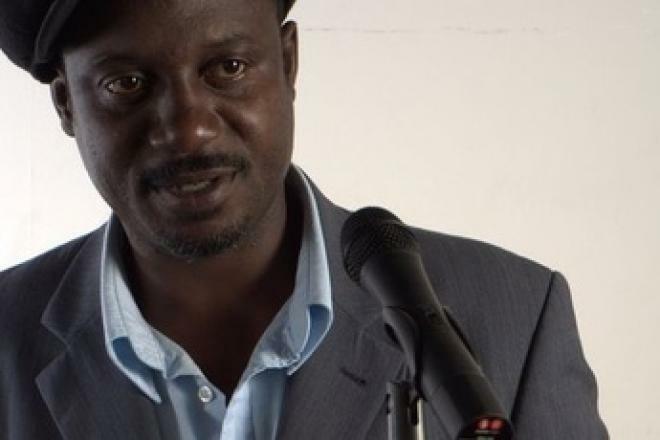 The London Dance Orchestra is produced and led by Musical Band Leader and Impressario Robin Harris. 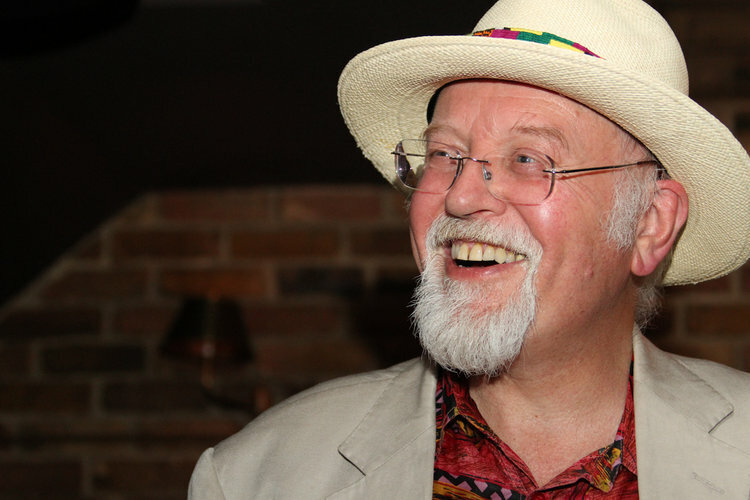 Robin has led a number of stellar bands across London in many diverse musical fields including Latin, Soul, Blues, Eastern European Folk and more. The LDO give sensational performances that always leave the audience begging for more. All the musicians are top flight professionals who work across TV, Theatre and Film and perform in Europe’s leading venues. Along side Robin, the band has fantastic featured singer which includes world renowned vocalist Iain Mackenzie (Ronnie Scott’s Principle Singer) Zara Macfarlane (Mobo Jazz Award Winner) Sara Dowling, Kate Mullins (Puppini Sisters) and more. As a result of the generous support of Havana Club, we are also able to offer a special menu of rum cocktails at reduced prices featuring the brand all night, along with free live music! We’re excited to bring you a night of live music and cocktails, thanks to our friends at St. Germain. Mlle. Loulou is a French accordionist and singer who plays with the finest jazz musicians of London. The band conjures a romantic, vintage Parisian spirit, taking the audience back to bygone era. Their expansive repertoire ranges from the French 'titi' to the irresistible dance grooves of South America. Expect Swing, Tango, Cumbia, French Chanson and Musette music, the occasional Forro and even some 50's Rock 'n' Roll! As a result of the generous support of St Germain we are also able to offer a special menu of cocktails at reduced prices all night along, with free live music. Ben 'Blue' Martyn's trio (+ occasional guests). Music from the southern states of America, particularly Louisiana. Ben Blue and Emile Martyn moved to New Orleans and spent their teenage years and twenties there but have now been in London for over 10 years playing with many of the Jazz great of that time. While pianist Dean Ross grew up in Kansas City and now also resides in London. Their influences vary from Fats Domino, to Ray Charles, Professor Longhair, Muddy Waters, Kris Kristofferson and beyond. Ben Blue also writes for the band in the style of their heroes mixing Jazz with Rhythm & Blues, Country and early rock n roll. Ben and Emile also run a full six piece band ‘The Fallen Heroes’ which tours the world playing and selling out venues such as New Orleans Jazz and Heritage festival, Cork Festival, Ronnie Scott’s and the 100 Club. The Chris Corcoran Trio are an instrumental tour de force and unique to the UK Blues scene. Hailed by Guitarist magazine as 'endlessly inventive' and 'one of our favourite purveyors of vintage blues' the band has performed at many of the UK’s noted blues venues and festivals, bringing their eclectic repertoire of covers and self-penned numbers delivered with energy and passion for authenticity of roots rhythm and blues. The trio is led by the prodigious guitarist, Chris Corcoran supported by stalwarts of the UK Blues Circuit, Matt Radford on Bass and Peter Greatorex on drums. We're delighted to present an evening of live music and delicious cocktails courtesy of Bombay Sapphire. Gifted with immensely emotional vocals, Sara Dowling’s influences are wide and far-reaching. she is now one of the U.K’s leading jazz vocalist, regularly performing at London’s prestigious Ronnie Scotts Jazz Club and the 606 Jazz Club. She is known for her interpretations of classic ballads leaving audiences spellbound as well as the energy and vigor with which she tackles the up tempo standards from the American Songbook. Thanks to Bombay Sapphire, not only will you hear Sara’s music for free, but we’ll also be offering a special menu of discounted cocktails all night. 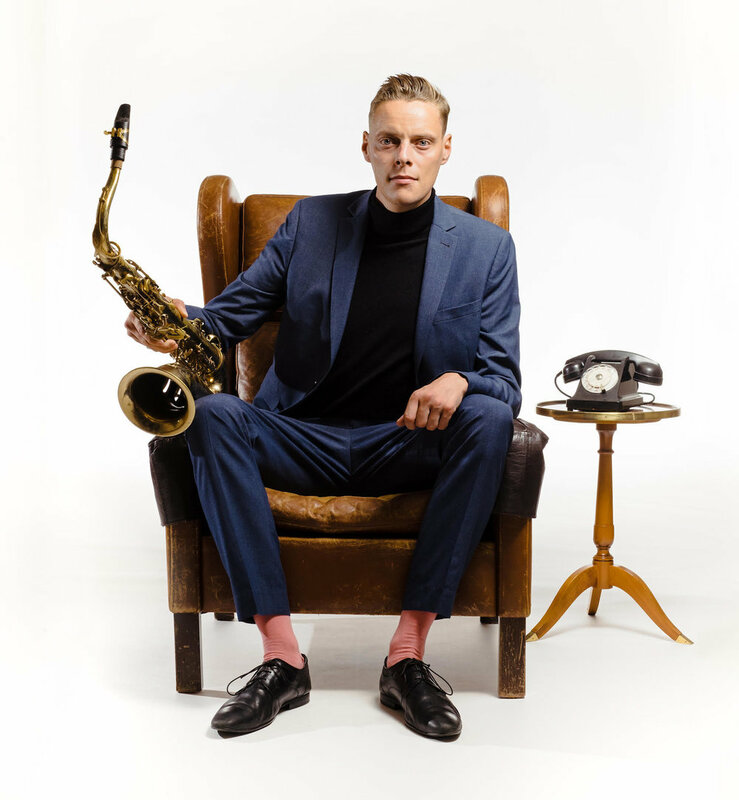 The self-titled “King of Dirty Jazz, Backroom Swing and Rhythm and Blues”, TJ Johnson is a true ambassador of the soul singing songs of love lost and gained, of life wholesome and corrupt, of hope and despair, all with the true passion and boozy swagger of only a man who has been there and knows. TJ plays an extraordinary blend of music that transcends the boundaries of jazz, blues, soul, country and gospel and is influenced by the likes of Ray Charles, Dr John, Louis Armstrong, Johnny Cash, BB King, Nina Simone, Alberta Hunter, Jimmy Witherspoon and many more. Thanks to the generous support from our friends at Woodford Reserve, we are able to offer reduced priced cocktails and free live music. Michael Wilkins Heavy Vintage is a 4-piece band that has everything a speakeasy frequenter could want: four top musicians from around the globe bringing you an eclectic mix of vintage jazz. Come hear them re-imagine everything from the gruff but tender ballads of Ben Webster and swinging cuts of Lester Young to the classic hits of Belgian guitar hero Django Reinhardt and Italian singer Renato Carosone. When they’re not ransacking the West Country for fast food, they’re recording phonographic wax cylinders, referencing black and white cinema and generally celebrating the culture of the early 20th century. Thanks to the sponsorship of Hennessy we are serving a special menu of reduced priced tipples and free live music. We’re excited to bring you a night of free live music and discounted cocktails, thanks to our friends at Campari. Master of our monthly Hennessy Jazz Jams, Duncan Hemstock is a band leader like no other. He brings his joy for life and music to every performance, always delivering with a smile and a cheeky quip or two. His clarinet playing is not only influenced by Goodman, but also the fiery intent of Edmond Hall. While his Tenor Saxophone approach is inspired by the great Lester Young. Exploding out of the London Soul and Blues scene, Miss Hoodoo and the Delta Boys have already earned a well deserved reputation as one of the hottest tickets on the worldwide Blues/Soul circuit. 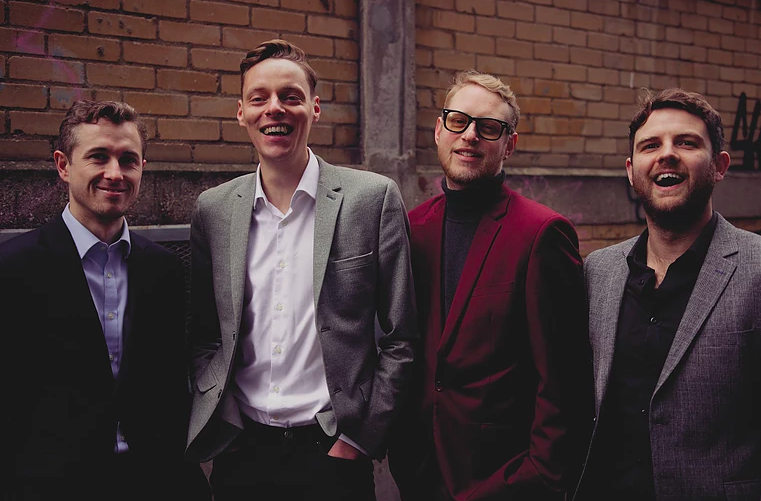 London based four piece Fraser & the Alibis play the hippest in Bop, Blues and Boogaloo. The band features some of the most in-demand, young improvisers on the London scene. After playing approximately 400 gigs together over the last decade and the release of a successful first album, they're hitting the ground running with album number two due for release in 2019. We're delighted to present an evening of free live music and delicious reduced price cocktails courtesy of Cambridge Gin. Joplin Parnell is a prominent pianist and vocalist on London’s Jazz and Blues scene. He has lived a life immersed in music having started out at an early age following his piano playing father around New Orleans parades, jam sessions and bars, snare drum in hand. Whereas, days at home were spent receiving a musical education in the back of his mother's audio engineering studio, watching her cut records and listening with keen ears. His sets weave a rich tapestry of New Orleans Rhythm & Blues and Brazilian Choro, New York Stride and French Musette with a Tango or two thrown in for good measure. His music draws influence from the full breadth of his musical heritage and imparting a deep soulful sensibility onto everything he does . Ewan Bleach is a clarinetist, saxophonist, pianist and singer specialising in 1920s and 30s jazz and blues. Ewan runs a couple of regular London jazz nights -the Cakewalk Cafe at Passing Clouds and the Golden Era of Jazz at the Jamboree. He regularly visits New Orleans for inspiration and has toured in France with the renowned New Orleans street band Tuba Skinny. He currently works as a clarinetist with several London jazz bands including Man Overboard, The Basin Street Brawlers, The Dakota Jim band and The Old Hat Jazz Band. Ewan has a large repertoire of rare old songs ranging from the rough raggy blues songs of the 20s to the rich luscious ballads of the early 40s referencing artists such as Billie Holiday, Al Bowlly, Bessie Smith and Jimmie Rodgers. Thanks to our friends at Cocchi, we are excited to bring you a night of live music and special cocktails. Cocchi is a brand of wine-based aperitifs and hundred percent Piedmontese sparkling wines following the best traditions of Asti area. Thanks to Cocchi, not only will you hear Sara’s music for free, but we’ll also be offering a special menu of discounted cocktails featuring the brand all night! The Dixie Ticklers are transforming and revisiting classic New Orleans music. This hard working band is building a fierce live reputation within jazz and the vintage scene. 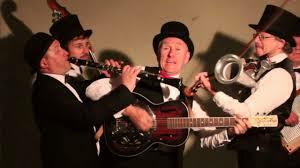 The Dixie Ticklers will also be playing a Late Set at 11.30pm. Cover will be charged at £4 for guests staying on, or £5 on the door. Roll up food lovers, this is one you won’t want to miss! For one night only we’re thrilled to welcome Zaw Mahesh Head Chef of Burmese hotspot Lahpet into our kitchen. Zaw & our Head Chef Gus have created a menu in collaboration - fusing the flavours from our Latin-inspired menu with the best of Burmese street food. 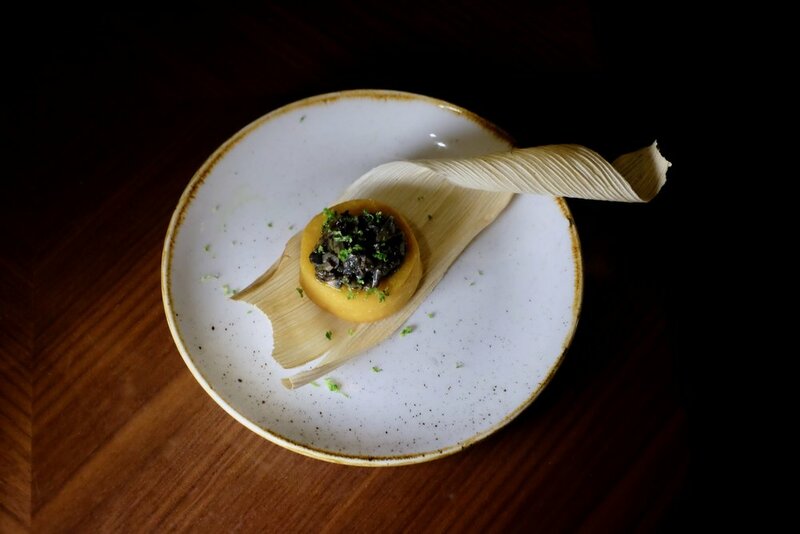 Tickets are £35 for four courses of delicious taster plates including silken truffle tofu, ginger salad tostadas and dreamy cassava coconut cake. We’ve sampled these dishes and they are quite a taste sensation! Places are limited and will fill up fast so we recommend booking in advance using our Lahpet Supper booking type. *Please note we will be running our normal cocktail service with our full menu for all other guests & bookings! From 9pm, there will be live jazz from 9pm from the excellent Baraka - a London-based jazz band, creating and performing their own material. You'll hear sounds and influences from South African swing, Caribbean shuffle and Brazilian beats, all fused in London's musical melting pot. Listen to Baraka on Soundcloud and follow on Facebook. We’re excited to bring you a night of free live music and discounted cocktails, thanks to our friends at Pampelle. We are delighted to host this masterclass in partnership with Pampelle, an aperitif that highlights the Ruby Red Grapefruit from Corsica island, responsible for its sweetly bitter disposition. Guests will learn about the crafting of the brand and be treated to a tasting of expressions of the range, along with specially paired taster canapés from our kitchen. Tickets are £10, we do recommend booking, using the Pampelle Masterclass Booking Type, as places are limited! The masterclass begins promptly at 7pm, please arrive 15 minutes before. We're delighted to present an evening of free music and discounted cocktails courtesy of our friends at Reyka. As a result of the generous support of Reyka, we are also able to offer a special menu of vodka cocktails at reduced prices featuring the brand all night long, with free live music! We’re excited to bring you a night of free live music and discounted gin cocktails, thanks to our friends at Campari. We're delighted to present an evening of live music and delicious champagne cocktails courtesy of Veuve Clicquot. From the gambling dens of pre-revolution Havana, where the sweet smell of cigars hung thick in the air and the aged rum flowed, "The Sugar Kings" Cuban duo present Son, vintage Mambo, Guaracha, Bolero and Cha Cha Cha…with vocal harmonies, exciting rhythms and abounding Cuban sunshine. As a result of the generous support of Veuve Cliquot, we are also able to offer a special menu of cocktails at reduced prices featuring the brand all night… not to mention free live music too! Miss Hoodoo & The Delta Boys play Blue Note 60’s Grant Green/Lou Donaldson laid back soul/jazz than 70’s funk. The band are supported by the captivating soulful vocals with upright bass, drums, piano, trumpet/trombone. The Dime Notes dig back into the blues-drenched sounds of clarinet-driven 1920s New Orleans jazz, unearthing a repertoire of stomps, blueses, and forgotten gems of the era from musicians such as Johnny Dodds, Jelly Roll Morton and Red Nichols. We do recommend booking, using the Agave Spirits Masterclass Booking Type, as places are limited! The masterclass begins promptly at 7pm, please arrive 15 minutes before. Al "Dente" Dunn is pianist, MD, and arranger for The Cosimo Matassa Project a popular London sextet inspired by the countless joyous recordings that flowed from the famous J&M studios of New Orleans between the late ‘40s through the ‘50s and ‘60s. His playing is influenced by the likes of Allen Toussaint, Fats Domino, Dr John, Huey "piano" Smith, Tuts Washington, Professor Longhair etc. and of course the great Jelly Roll Morton. With monster groove and technique, his performances wonderfully conjure up the Crescent City atmosphere of a New Orleans speakeasy with stomping piano and joyous mardi gras songs. He’s also long time keyboardist for Sir Bob Geldof and more recently The Boomtown Rats. Jaz Delorean is an English singer, as well as performing and recording as a solo artist, he is the composer and singer for British band Tankus the Henge. 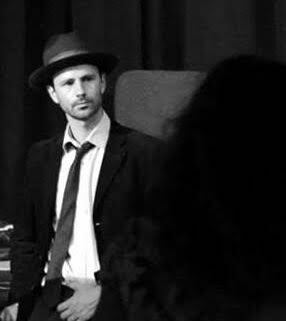 Influenced by charismatic characters such as Jack Kerouac, Tom Waits and Edith Piaf, his music and lyrics often travel down the wistful, broken-hearted route, performed live with a mischievous glint in his eye. We’re excited to bring you a night of free live music and discounted gin cocktails, thanks to our friends at Grand Marnier. Thanks to Grand Marnier, not only will you hear music for free, but we’ll also be offering a special menu of discounted cocktails featuring the brand all night!